Oct. 20 – his and mine! 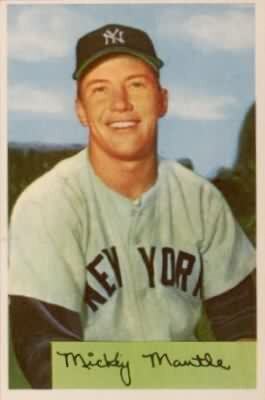 I didn’t share much with Mickey Mantle. Oct. 20 is a national holiday in my home. Before preparing my celebration, I wanted to share some suggestions. Do you have a birthday coming up. Afraid someone will give you another necktie? Ask for a one-year membership to www.sportscollectors.net. It’s a great way (at just $14.99) to keep current on TTM happenings. For friends and family thinking that they don’t know what autograph to buy for a present, make it easier. Collectors need envelopes, paper, pens or computer printer ink. Simplest of all: make it stamps! If you have a hobby pal, send them birthday greetings with a pair of stamps (one for the self-addressed, stamped envelope, of course). Coming Monday: Making sense of FOREVER stamps.